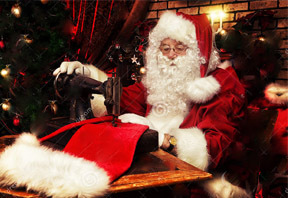 Even Santa was busy sewing Memory Quilts and pillows this holiday season! 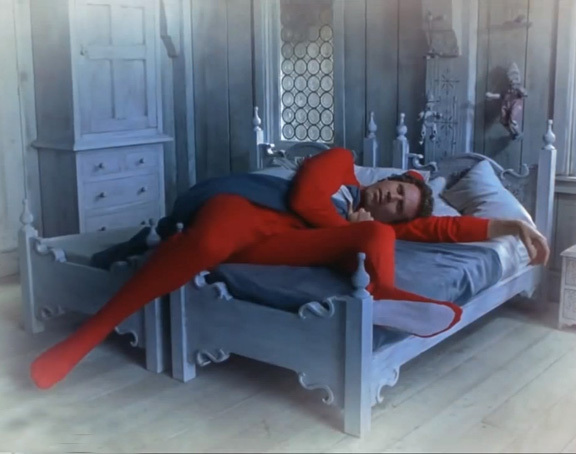 MQBM staff looked a little like this on Monday 12/15/14. All long distance Christmas orders were completed and shipped out by 12/15/14, whew! As I write this newsletter, 28 Memory Quilts and 25 Memory Pillows will be unwrapped this season by some very lucky people. 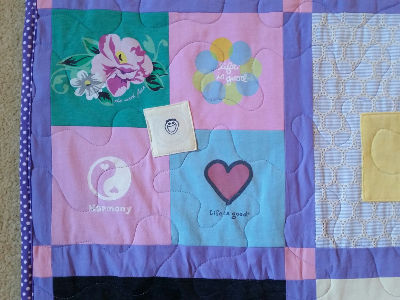 I am so grateful that you chose my custom, handmade quilts and pillows! It is my sincere hope that these items will bring joy, comfort, and healing to those who receive them. Sadly, you will have to wait until January to see pictures. I wouldn't want to spoil the surprise! Ho Ho Ho! If for some reason you aren't receiving a one-of-a-kind Memory Quilt or pillow this holiday season but would like one, please contact me ASAP so I can add you to the list. Currently I have 17 on my schedule. 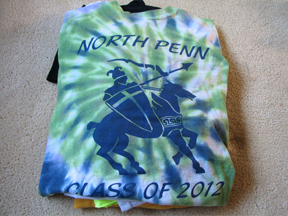 Those interested in Graduation Quilts, January is the time to order! Turn around time is about 4-6 months. 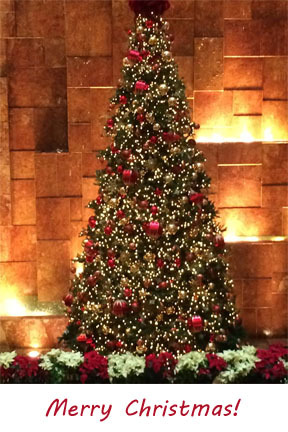 May the peace of the season be felt by each and every one of you. 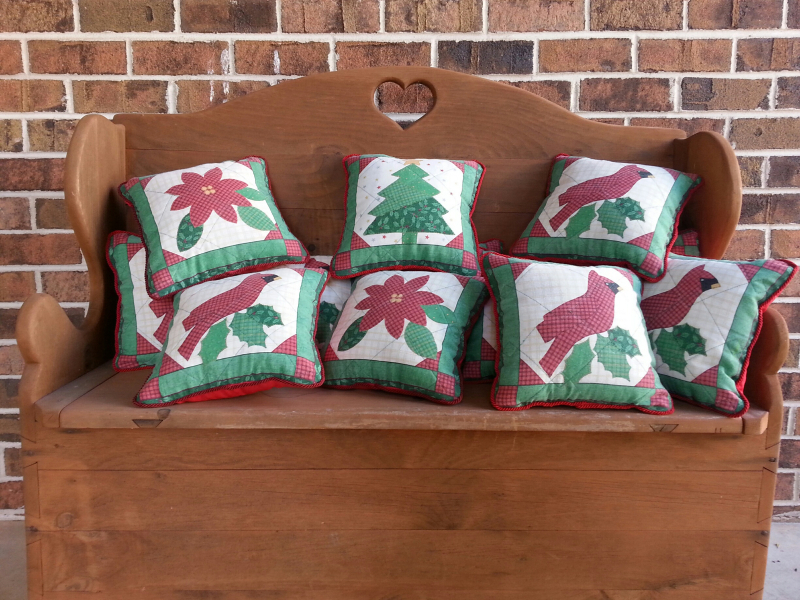 Twelve lucky grandchildren will receive beautiful Memory pillows in honor of their grandmother who recently passed away. These pillows were made with a beautiful bed spread and red curtains that were favorites of Mrs. Hoban. How nice to honor a special woman in this way. 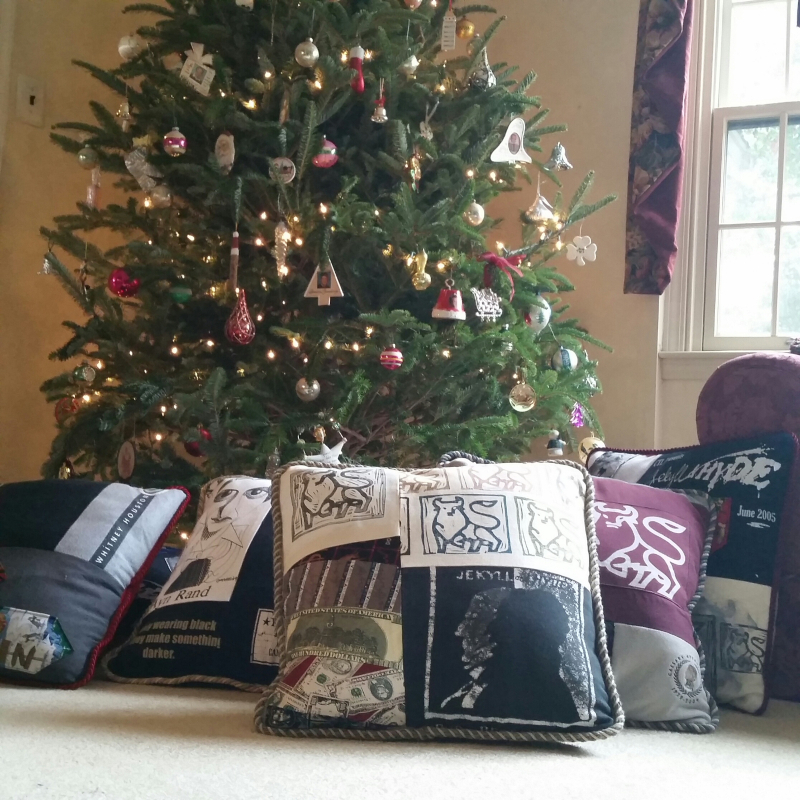 Seven pillows will be given to seven different people this Christmas in honor of a dear friend. Each pillow tells a unique story. 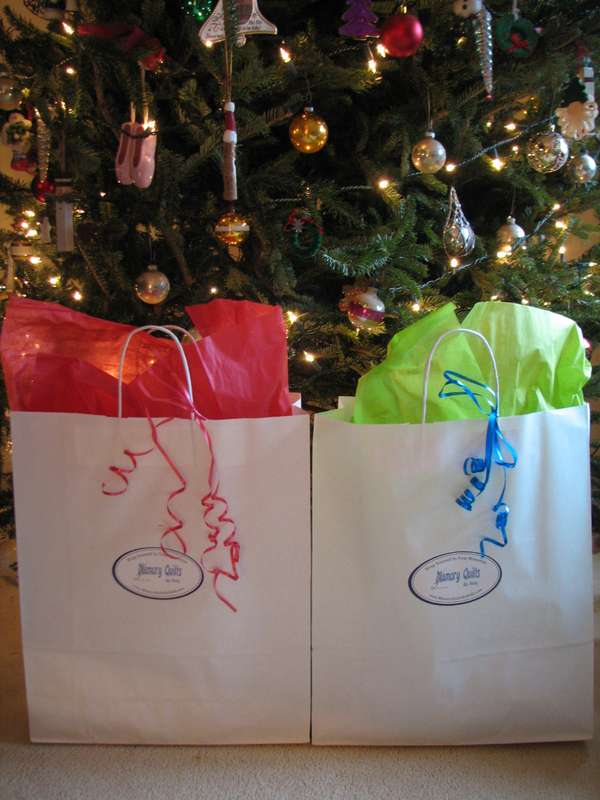 Several ties were included in these very special 20" Memory Pillows. 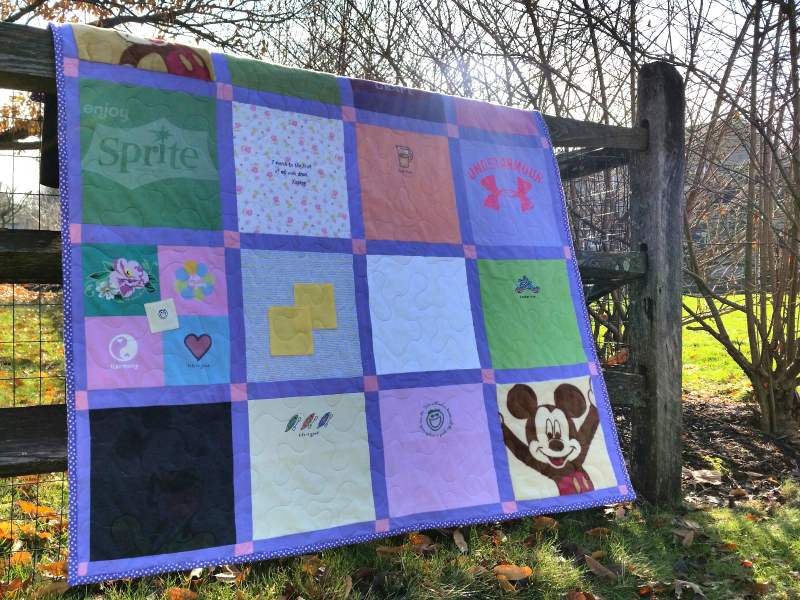 This quilt was backed with super soft purple polka dotted flannel! 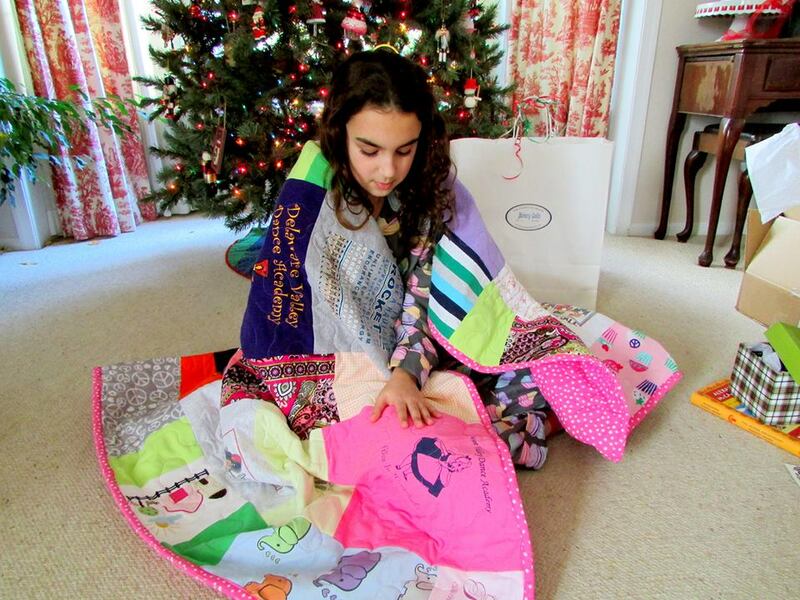 I just love receiving pictures of my quilts being used and loved! This picture shows how thoroughly modern a Modern Style Memory Quilt looks in a recent graduate's room! What a wonderful story it tells. 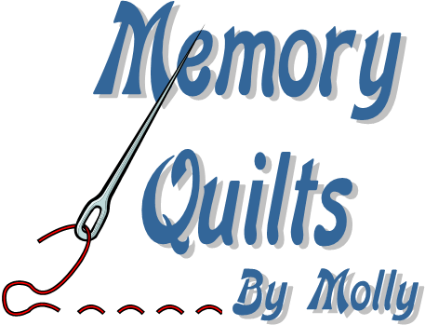 Memory quilts make the perfect gift for that special graduate in your life! 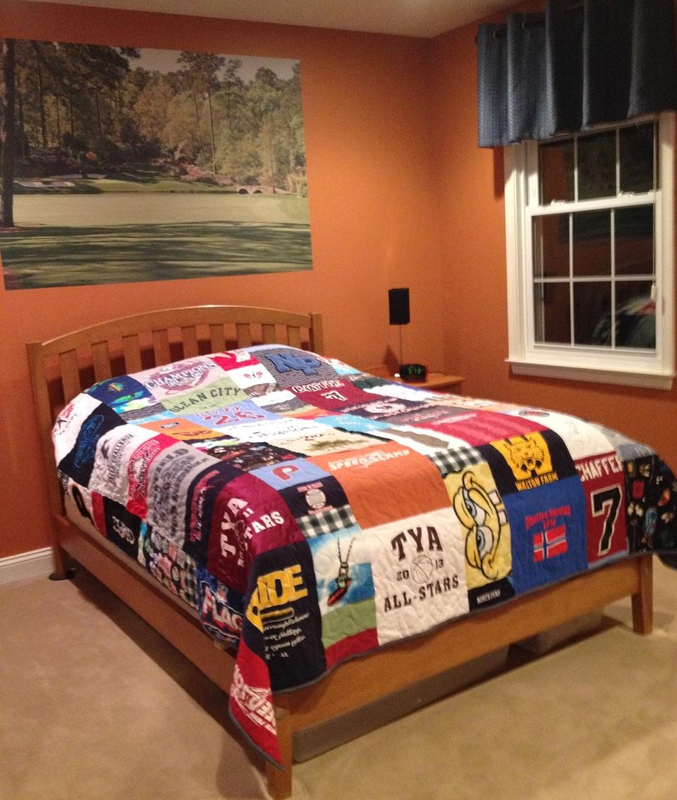 These quilts can be made to fit a bed at home or a dorm room bed at college! Please remember to order early. 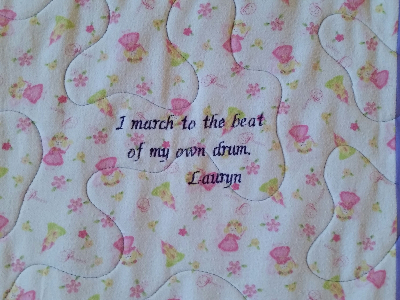 January is the month to order grad quilts!